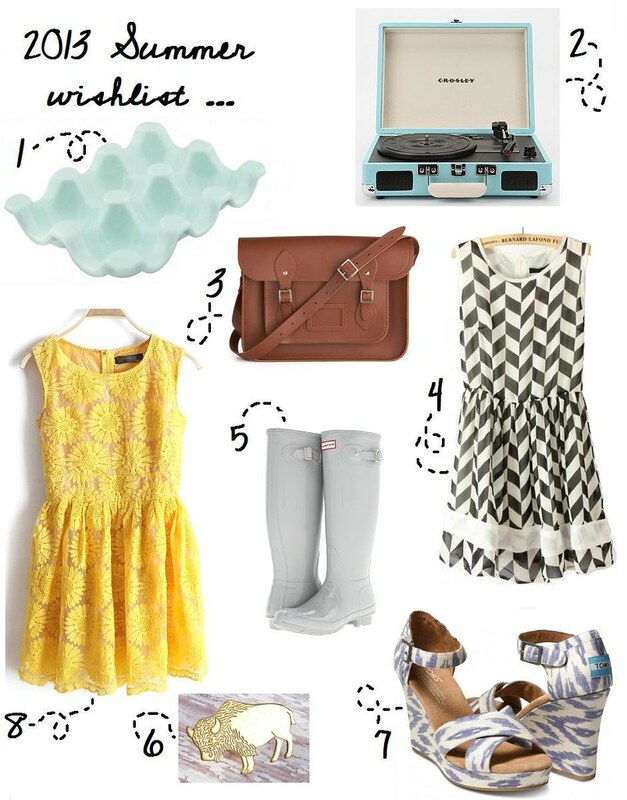 A CLOVER & A BEE: Leah's summer wishlist // a giveaway winner announcement! 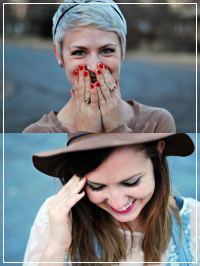 Leah's summer wishlist // a giveaway winner announcement! It appears as though I have a color scheme for this summer-yellow, light blue, gray, yes please! I actually have been wearing a lot of coral these days as well. 1. A fancy way to display eggs in this porcelain egg carton from furbish studio. 2. I have been dreaming of getting a record player for a little while now. I flipped through the stacks of discount records at amoeba music in L.A. picturing myself... a summer day, the breeze billowing in through the windows, the music stops and I walk over to flip it over in a sweet little summer dress (probably #8)- it seems all to perfect of a dream to let go. Therefore I need this crosley record player from urban outfitters, right? 3. I am getting pretty dang tired of carting my journal and lunch to and from work in hand due to the size of my itty bitty bag. Don't get me wrong, I love the tiny purse that my boyfriend bought for me... I just need a little bit more space sometimes. This bag from Mod Cloth would be perfect, plus it would come in handy once I am student teaching in the fall! 4. As Kansas heats up I start wearing dresses more and more, clingy fabrics are just obnoxious. This dress from She Inside would be perfect for that reason, plus I love the graphic print and the black and white! 5. Hunter Boots... enough said probably. Everyone wants them..everyone needs them. They are lying if they say otherwise. 6. I'm all about my Kansas roots, I love the prairie and those prairie grazers. This bison ring would look super cute on my finger! 7. IKAT and good for people? I am in. I love these Toms strappy wedges! 8. Staying true to my Kansas self yet again, I love this yellow embroidered sunflower dress from She Inside! What is on your wishlist this summer? 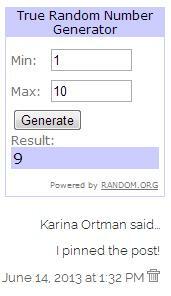 Also, congrats to Karina Ortman for winning our tea bowl giveaway! We can't wait to clue you in to our next (super exciting!!) giveaway!